This year marks the 25th anniversary of the establishment of diplomatic ties between China and Singapore and in commemoration top leaders of both sides will conduct state visits. 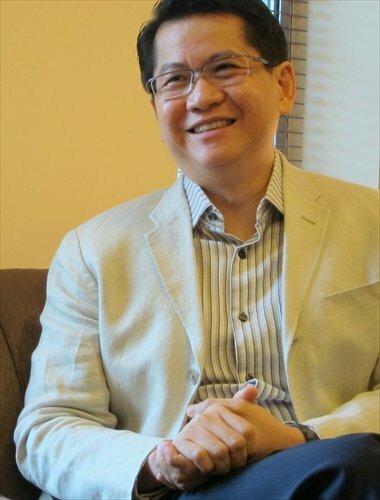 Prior to the visit of Singapore President Tony Tan Keng Yam to China later this month, Global Times (GT) reporter Sun Xiaobo talked with Stanley Loh (Loh), Singapore's ambassador to China, over the trends in the bilateral relationship. GT: What do you think of the development of the bilateral relationship? Loh: This year is a very special year of double celebrations. It is the 50th anniversary of Singapore's independence and also the 25th anniversary of Singapore-China bilateral relations. The relationship between our countries goes back a very long way. Even before we established diplomatic relations, Lee Kuan Yew visited China in 1976 and Deng Xiaoping visited Singapore in 1978. Since we established diplomatic relations, our cooperation has progressed rapidly. Over the years, we have cooperated on major projects such as the Suzhou Industrial Park and Tianjin Eco-city. The relationship is progressing healthily. To commemorate this special milestone, our two presidents have agreed to have an exchange of state visits. Their visits will be a good opportunity to take stock of our past achievements and set new goals. GT: China-Singapore cooperation has traditionally focused on economy, human resource development and people-to-people exchanges. What other areas can the two sides have new opportunities to work together? Loh: Singapore and China signed the free trade agreement (FTA) in 2008. This was China's first comprehensive bilateral FTA with an Asian country. It served as a pilot for China to establish more bilateral FTAs later. Since then, our economic relationship has grown and developed substantially. It is time for us to upgrade this FTA. We are discussing this with China. Top Chinese leaders have also invited Singapore to embark on a new government-level project in China's western region. We are actively exploring this proposal and are going to do it differently based on the theme of "modern connectivity and services." We haven't decided on the location yet. We hope it can help lower the cost of doing business and enhance connectivity. It is important that the project closely aligns with China's priorities such as the "One Belt, One Road" project, the western region development and the Yangtze River economic belt initiatives. GT: Singapore has provided training for senior Chinese officials since 1992. As China is vigorously advancing the rule of law, what experiences can Singapore share with China in this regard? Loh: Since the mid-1990s, almost 50,000 Chinese officials have come to Singapore for training programs. In the early years, classes focused on economic development. Over the past few years, there has been a gradual change. Today, we still discuss economic development, but officials from the central government and coastal cities show an increasing interest in social governance, the rule of law, water management, social service and public health. Ultimately, Singapore is a small country. Some of our experiences may be useful references but not every aspect would be relevant to China. GT: About 74 percent of Singapore's residents are of Chinese descent, but many people feel that the two countries are economic partners but emotionally distant. What's your take on this? Loh: Singapore is a multi-ethnic country. Our ancestors came from China, India and also Southeast Asia. Today, Singapore is a melting pot of different cultures, religions and ethnic groups. This is our national identity. Singaporeans feel comfortable with China and Chinese. We can speak the same language and we are able to appreciate the subtleties of each other's culture. Our strong economic cooperation reflects this mutual comfort. As an independent and sovereign country, it is natural that we have to be guided by Singapore's own interests. There are no major problems between our two countries. The communication channels between our leaders are abundant and smooth. Singapore wants China to succeed. GT: Given the rising tensions in China-US relations, does Singapore find it difficult to maintain the balance with the two countries? What do you think of the South China Sea issue? Loh: Both China and the US are our close friends and we have a long history of cooperation with the two. Today the China-US relationship also has a high degree of interdependence. It is not a zero-sum game. The region is big enough to accommodate both. Singapore and other small countries don't have to choose sides. On the South China Sea disputes, our position is principled and consistent. Singapore is not a claimant. The territorial disputes are for the claimants through peaceful means. Our interest primarily lies in preserving peace and stability in the region, upholding the international law and safeguarding the rights of freedom of navigation and over-flight. We hope the disputes can be resolved. If not, why not set them aside for the time being? But we still need to manage the tensions. We hope all the relevant parties will fully implement the Declaration on the Conduct and refrain from unilateral action that will raise tensions. We should also speed up negotiations on a legally binding Code of Conduct. GT: Singapore is one of the founding members of the Asian Infrastructure Investment Bank (AIIB). How do you view the AIIB's outlook? Loh: Singapore was the first advanced economy and one of the first ASEAN countries to indicate our willingness to become a perspective founding member. We did this because the region has a general need for more high quality infrastructure. ASEAN itself also has many initiatives that are complementary to the AIIB initiative. I'm optimistic about the prospects of the AIIB. GT: As Singapore has joined the Trans-Pacific Partnership (TPP) negotiations, what do you think of its development? Loh: I am cautiously optimistic about the TPP. The US is working hard to pass the Trade Promotion Authority (TPA). TPP members are working hard to conclude the negotiations. Singapore would like to see the TPP concluded. We'd also like to see the US Congress pass the TPA, which will be very helpful. The conclusion of the TPP goes beyond the agreement itself. The US recognizes that it will have a significant strategic implication on the US future role in Asia. TPP and the Regional Comprehensive Economic Partnership can be pathways to a future Free Trade Agreement of the Asia-Pacific.